We love our ketuba! Thank you so much for your hard work. We've just had it framed, we have it where we can see it and appreciate it. I bought some flannel flowers the other day and was so pleased that they're featured in our ketuba. A MODERN KETUBAH is an extremely personal epiphet of a couple's commitment to each other, made to be commemorated and cherished. In the end, it comes down to this: a wedding is a day, but the vows last a lifetime. 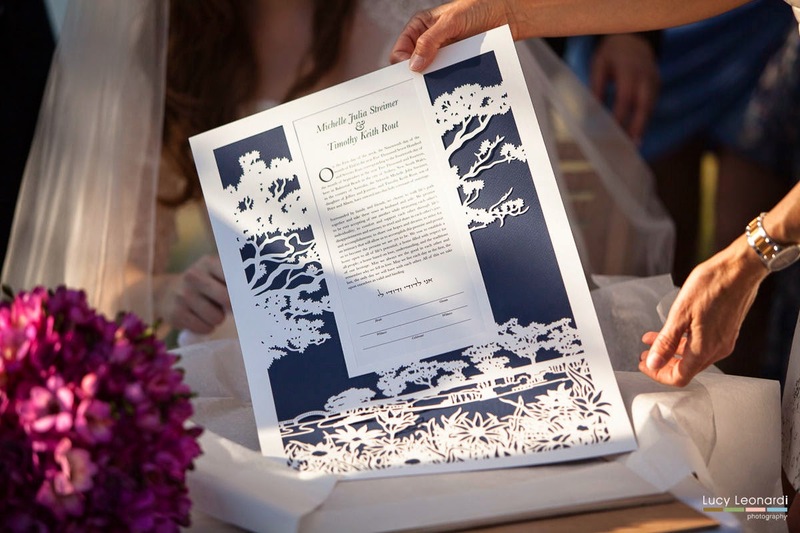 There are several ways to enjoy a modern ketubah: penning your own text, personalizing an existing design, or illustrating a design unique to you. As an art piece made to celebrate your fidelity and hung in a place of honor at your home, an affinity to the ketubah itself from the text to the illustration is no minor concern. Many of my clients choose a custom design for their ketubah, though they don't have a clear concept of what they want. It's my pleasure to guide them through fleshing out their vision and make it a reality. Custom designs can be anything from depicting a certain place meaningful to you, or a selection of flora & fauna symbolic to you and your family. I have done everything from illustrating a couple's proposal site to wedding flowers. SO HOW DO YOU GET STARTED? 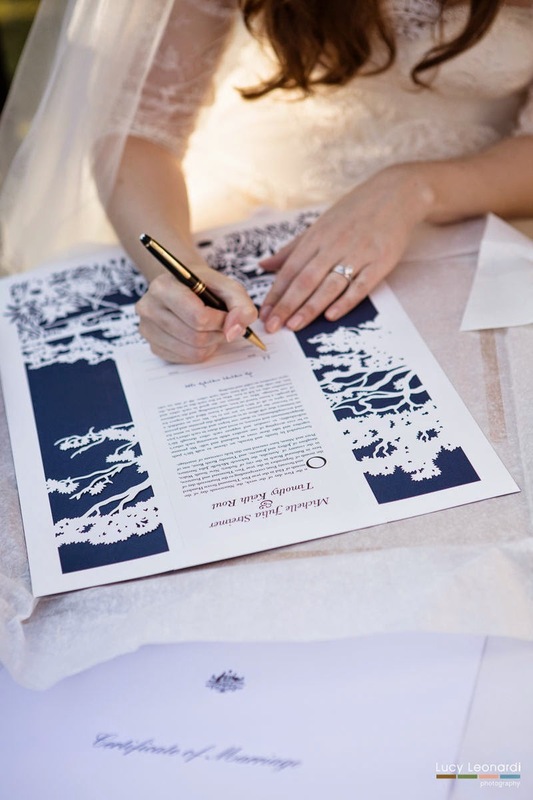 When choosing an artist to create your custom ketubah, you want someone with a style you like, and who has the availability and price range that works for you. To see if I'm a good choice for you, you can browse my galleries, shop, and FAQ pages. WHEN YOU'VE CHOSEN YOUR ARTIST Contact him/her, introduce yourself, and expand about your wishes & vision for your ketubah. Big detail to remember: your wedding date and location. See if you hit it off. The artist will take it from there, asking you pertinent questions to flesh out your ketubah from concept to a real art piece. If you'd like to work with me, I can be reached via email. AFTER YOU ORDER Sit back and relax. Your artist will send you updates and previews as discussed, which will free you up for all other wedding preparations. And in a few weeks, one day you'll get a knock at the door and it will be your heirloom ketubah, hand-delivered, Yaaayy! IMAGE CREDIT | First two images are of Michelle & Tom Rout's wedding by Lucy Leonardi Photography. 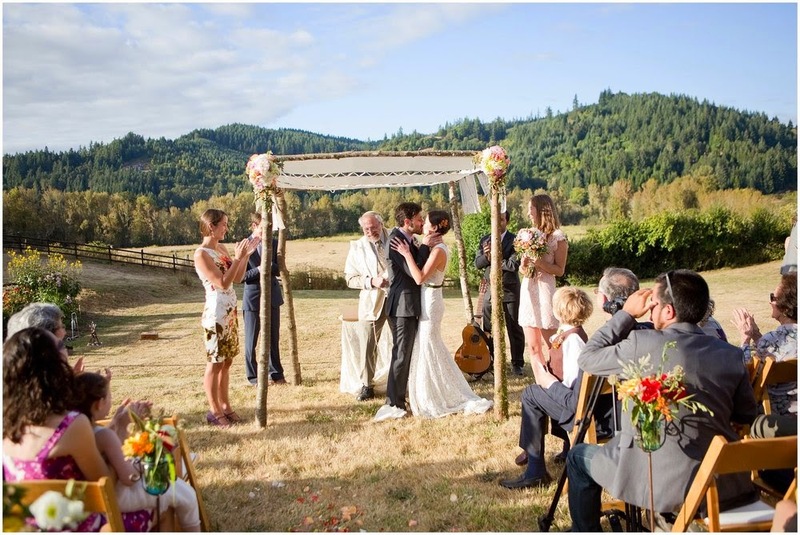 Last image is from Deborah & Ben Friedland's wedding by Larissa Cleveland Photography.